An entertainer’s dream, this custom home boasts over 5,000 square feet of total fully finished interior living space plus an award winning rear yard oasis and heated double car garage. 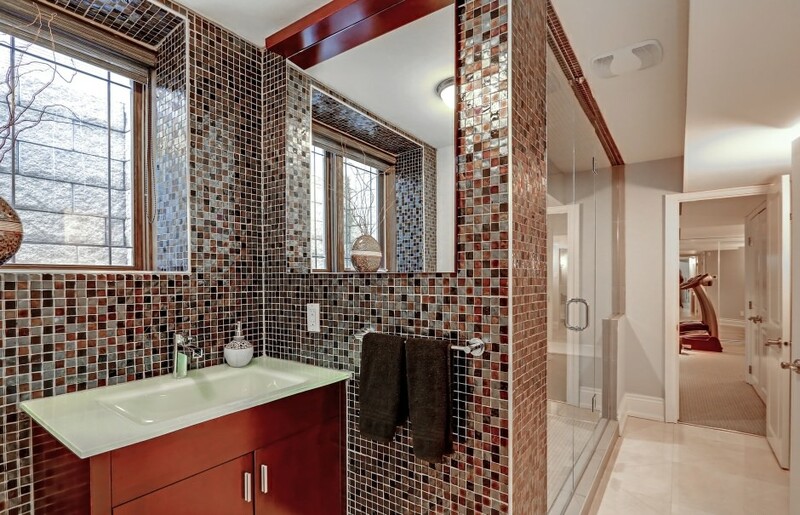 This home showcases the highest quality in construction and comfort. From Thermopane windows to the in-floor heating system, to the rounded corners on all walls and choices of high end natural woods and stones. Enter through the solid mahogany double door with arched transom into an expansive two-storey foyer. An oversized designer chandelier dangles from above, highlighting the polished marble flooring. 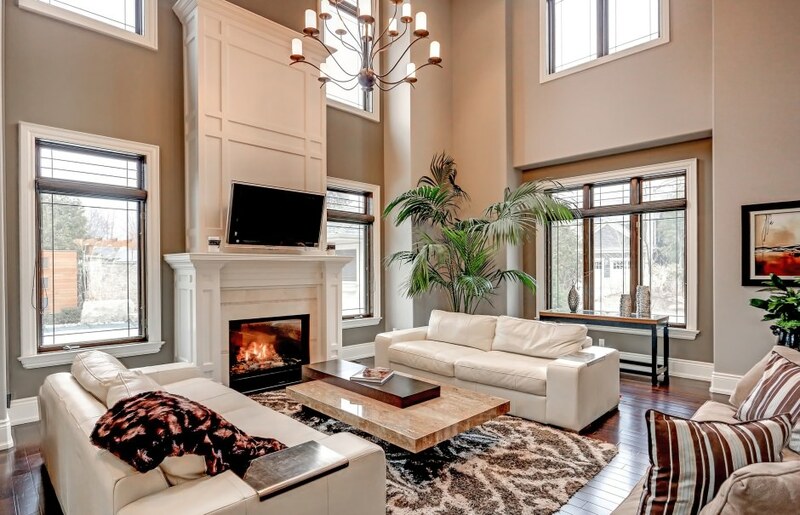 Double French doors open to a classic den featuring dark stained Brazilian hardwood flooring, built-in dark stained maple cabinetry and matching dark stained crown molding. The dark stained Brazilian hardwood flooring continues into the open concept great room. 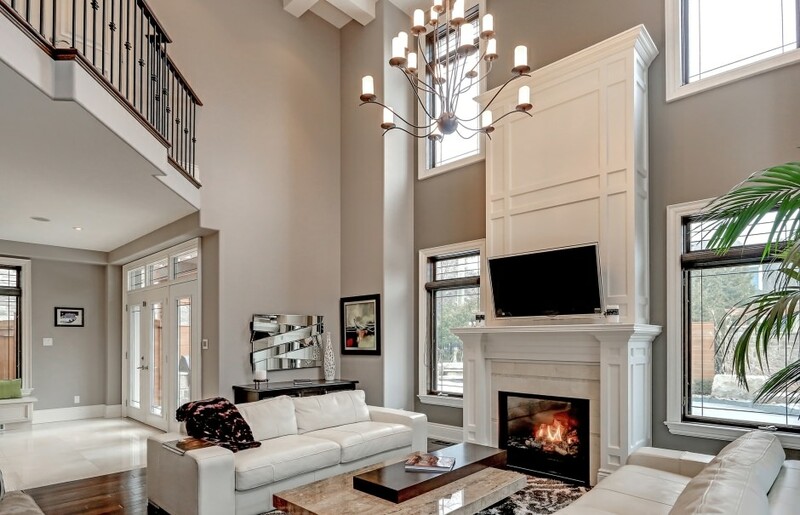 A gas fireplace with two-storey chute compliments the two-story coffered ceiling with recessed mini halogen pot lighting. This home is your playground, with built-in speakers and multiple touch screen controls throughout. Multiple windows flood the room with natural light, which flows into the eat-in kitchen. The kitchen is truly gourmet, from custom soft close cabinetry and granite countertops, to the high-end stainless steel appliances. 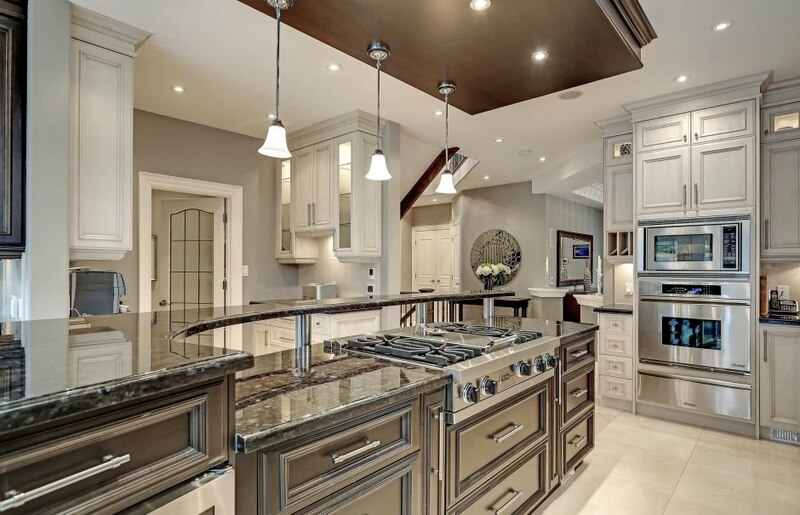 An oversized island serves as the central hub of the home, beneath a dark stained maple cloud with pendant lighting. An additional servery and walk-in pantry add to the functionality of the space, while a triple pane French door provides easy access to the outdoor entertaining space. A separate formal dining room with tray ceiling and plaster crown moldings opens to an additional covered porch, perfect for an after dinner coffee. A curved oak staircase leads to the upper level landing, open to both the foyer and great room. Double doors open to a true master retreat, with it’s own gas fireplace with stone mosaic surround and entertainment niche, and walk-in closet with sleek built-in storage. 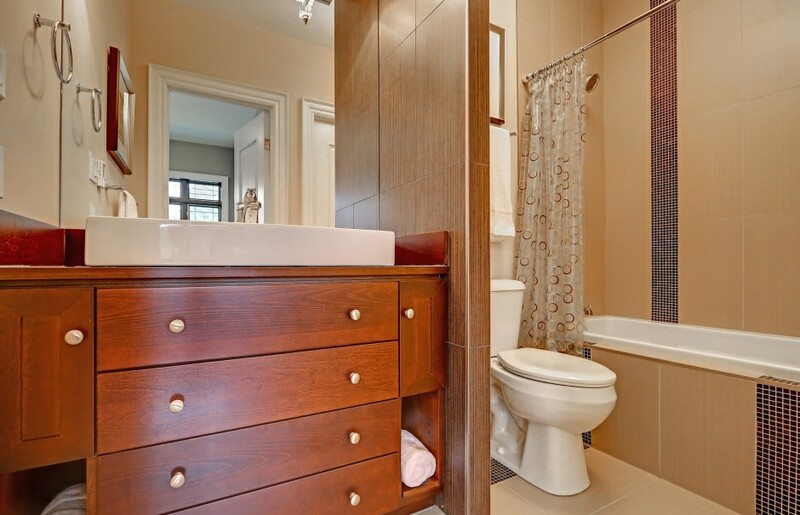 An airy five-piece ensuite features marble flooring, his and her vanities with sconce lighting, and an impressive infinity soaker tub with massage jets. Three additional good-sized bedrooms boast ample natural light and their own walk-in closets. There are two additional four piece baths, finished in the highest quality materials, as well as a convenient second level laundry room with quartz folding counter. The fully finished lower level provides ample additional living space. Relax in the dual steam shower after a workout in the exercise room, or watch a movie by the gas fireplace on your projection screen with 5.0 surround sound. A full wet bar and temperature controlled wine cellar make for the perfect space to entertain, while oversized windows make it easy to forget that one is below grade. Take the party outside, or simply enjoy time with the family in your private rear yard oasis designed by Rebelo Landscapes Inc. A heated in-ground salt-water pool with hardscaped waterfall is the centerpiece, surrounded by multiple custom wood and stone privacy walls. No pool is complete without a cabana with built-in bar and wall mount for a flat screen television. Bring the indoors out, with a hardscaped outdoor living area with built-in gas fireplace and LYNX barbecue. A hot tub is quietly tucked away, off a charming covered porch with cedar plank ceiling. Even man’s best friend has his own space, by means of a fully fenced side yard with dog door access to the heated double car garage. 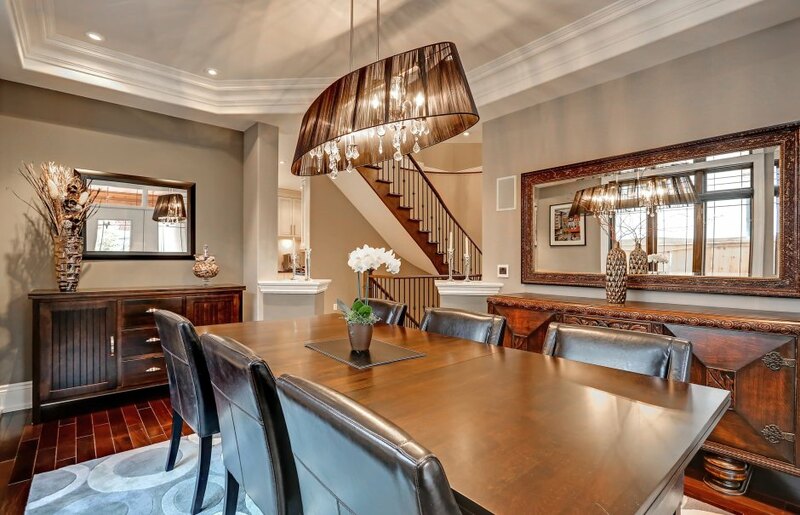 From functionality to finishings, not a thing is missing – including location, on quiet Avon Crescent. This home proves that you can really have it all!